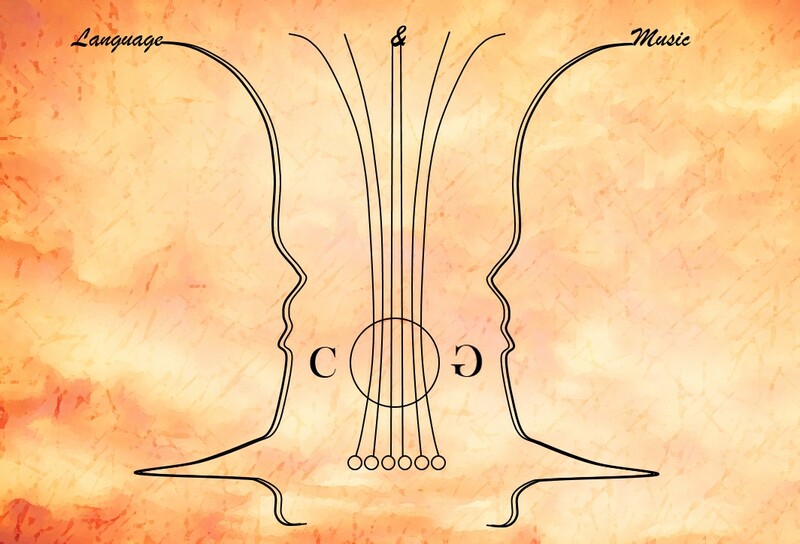 This homepage will provide you opportunity to inform yourself about all around MusiCoLinguistics – Science of Music and Language Cognition! Every useful information about music and language is gathered here. Furthermore, some artikels include option to comment it, so that you can discuss about the topic with other visitors. Enjoy yourself! Please note that this homepage will be actualized frequently! If you have any comments or questions, please contact me via the contact fomula! 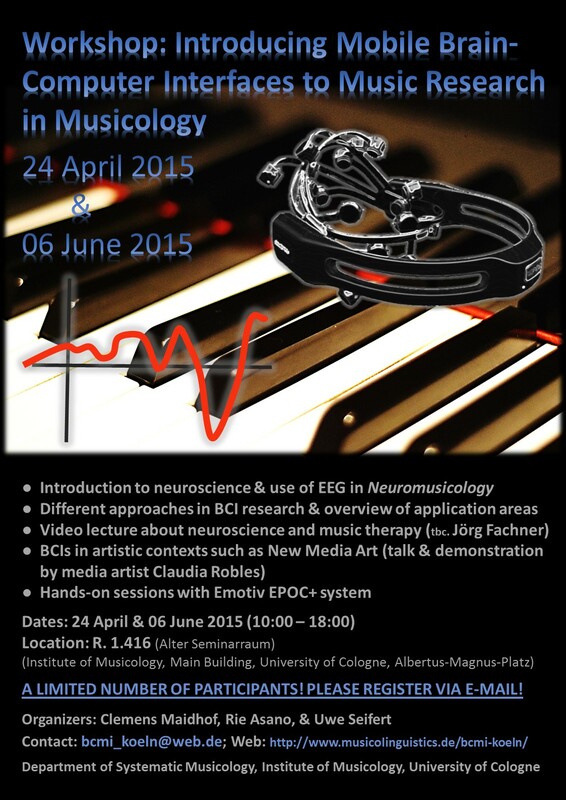 will take place at the Institute of Musicology, University of Cologne, Cologne/Germany. 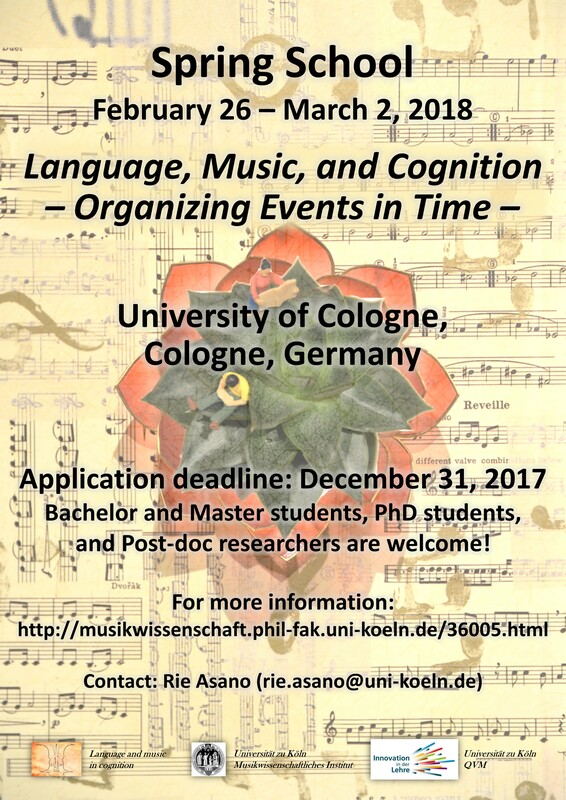 For more information, please visit our website (http://musikwissenschaft.phil-fak.uni-koeln.de/19788.html) or send us email (rie.asano@uni-koeln.de). Please pass along to anyone you think would be interested in attending. The list of confirmed discussants will be updated on this homepage. Cedric Boeckx initiated a new research program in biolinguistics called “comparative biolinguistics” (see his “Exploratory Workshop on Comparative Biolinguistics” and e.g. Benítez-Burraco & Boeckx, 2013). 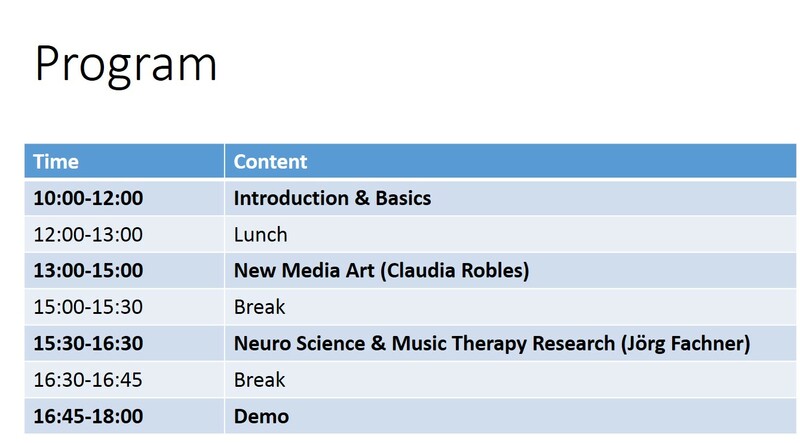 On February 25-26, 2014, we are planning a workshop for two days to explore how that program might be adapted to music research (which, then, might be called “comparative biomusicology”). 1) The role and relation of theory and empirical research in such a comparative research program. 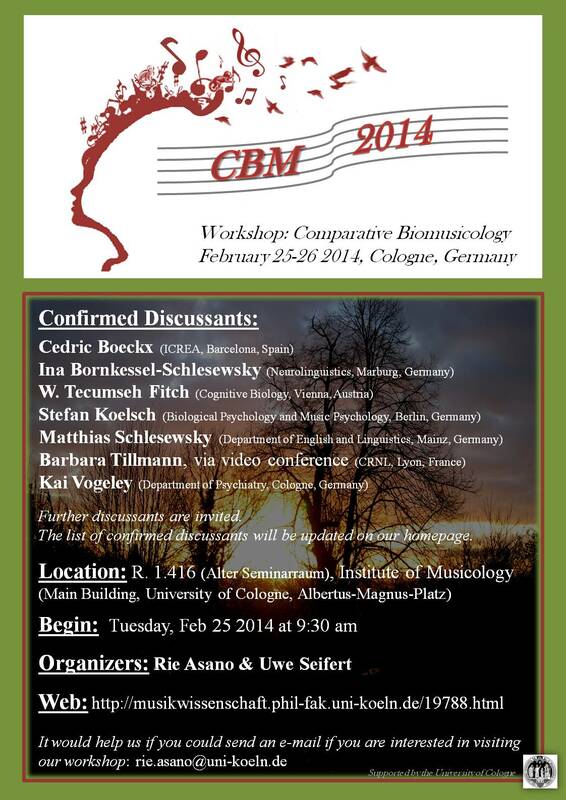 2) How results from comparative language-music research might be related. Comparative research includes within-species comparisons such as (developmental) disorders, different cognitive systems (e.g. language, music, and motor cognition) and cultural variations as well as between-species comparisons (e.g. birds, mammalians, non-human primates, and humans). 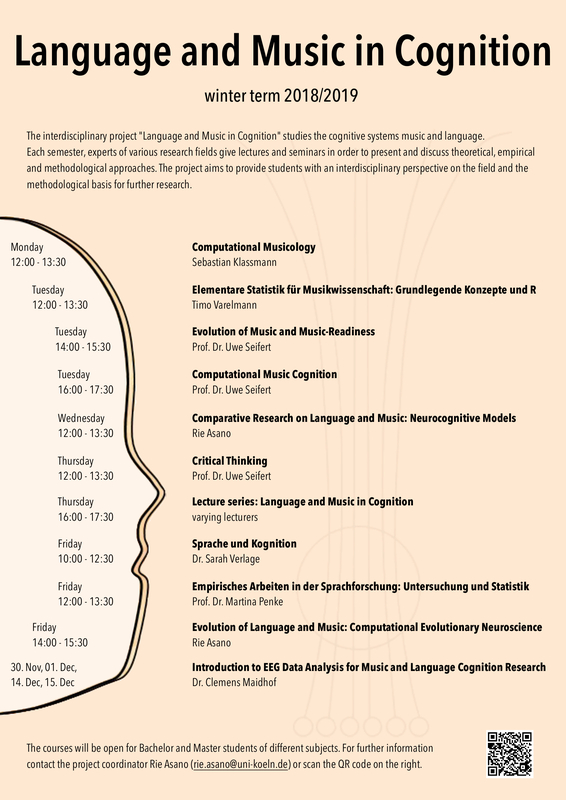 3) The role and relation of proximate and ultimate analysis in investigating the cognitive systems language and music. 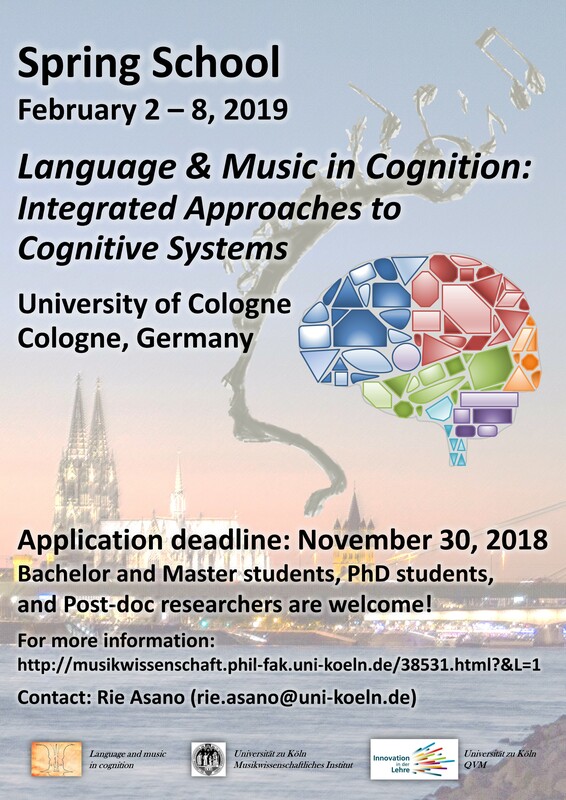 In general, we are interested to discuss from the point of view of linguistics (Cedric Boeckx), cognitive musicology (Uwe Seifert & Rie Asano), cognitive biology (W. Tecumseh Fitch), cognitive neuroscience and social cognition (Kai Vogeley), Cognitive Neuroscience and language (Matthias Schlesewsky & Ina Bornkessel-Schlesewsky) and cognitive neurocscience and psychology (Barbara Tillmann – via video conference) how, then, both programs might enhance each other and which strategies might be shared theoretically and empirically. The first volume of Studies in Cognitive Musicology ed. by U. Seifert (University of Cologne) has been published! This series focuses on the broad thematic and methodological fields relating to musicology. “Musicology has to cope with transdisciplinary challenges: In the 21st century linguistics, philosophy, cognitive neurosciences and psychology, information and media technology, biological anthropology and other disciplines have become increasingly interested in music research introducing new concepts, questions, methods and technologies for investigating music.” SysMus11, an international student conference of systematic musicology, was held in Cologne, 2011. This conference included several themes and approaches mentioned above to discuss about the nature of music. The proceeding Under Construction: Trans- and Interdisciplinary Routes in Music Research ed. by J. Wewers and U. Seifert introduces this new series.